Feeling bummed because you missed the last seminar due to the weather? You’re in luck! Carlson Gracie Jr, the Prince of Brazilian Jiu-Jitsu, returns to Four Seasons on Saturday, May 16. Seminar and rank evaluations run from 1:00 – 4:00 pm. Cost is $75 for CGKY members, $90 for everyone else. Four Seasons Martial Arts will be hosting a seminar covering extreme weapons disarms and hostage escape situations, taught by James Urban of Urban Tactical. This seminar will run from 9:00 am – 1:00 pm and costs $50. Four Seasons Martial Arts will be hosting a seminar with Carlson Gracie Jr. on Saturday, February 21. Seminar and rank evaluations run from 1:00 – 4:00 pm. Cost is $75 for CGKY members, $90 for everyone else. On the same day, we will also be hosting a seminar covering extreme weapons disarms and hostage escape situations, taught by James Urban of Urban Tactical. This seminar will run from 9:00 am – 1:00 pm and costs $50. If you’re a hard-core martial artist, why not come for both and get in a full day of training! New Class! Sombo is a Russian martial art which combines elements of Judo, Jujutsu, and various forms of folk-wrestling from the countries of the old Soviet Union. Sombo practitioners are known particularly for their skills with throws and leg locks. Coach Kenny Readnour will be teaching an ongoing Sombo class on Wednesdays at 7:00 pm. UPDATE – Sombo classes are now 5:00 – 6:00 Tuesday/Thursday. The University of Kentucky Judo club and Four Seasons Martial Arts will be hosting a judo clinic with World Champion and two-time Olympic Gold Medalist Neil Adams. Neil Adams is an 8th dan judoka known for his teaching and coaching skills as well as his competitive record. The seminar will run from 10:00 am to 2:00 pm on April 19, 2014. The price is only $20 for kids (7-12 years) and $40 for adults (13 and up). Don’t miss this rare opportunity to train with one of the best. Four Seasons Martial Arts will be hosting a seminar with Carlson Gracie Jr. on April 5, 2014. The seminar will run from 11:00 am to 2:00 pm and will cost $75 for CGKY members. Four Seasons Martial Arts will be hosting ChokeFest, a round-robin Brazilian Jiu-Jitsu gi-only tournament, on February 22, 2014. All grapplers are welcome. See http://kychokefest.wix.com/kychokefest for details. New class! Sundays from 5:00-6:30 pm we will be hosting practices for the Carlson Gracie KY BJJ competition team. All Carlson Gracie KY members are welcome. New guest instructor each week! The new schedule is up. Some classes have been moved around, so check the schedule page for details. 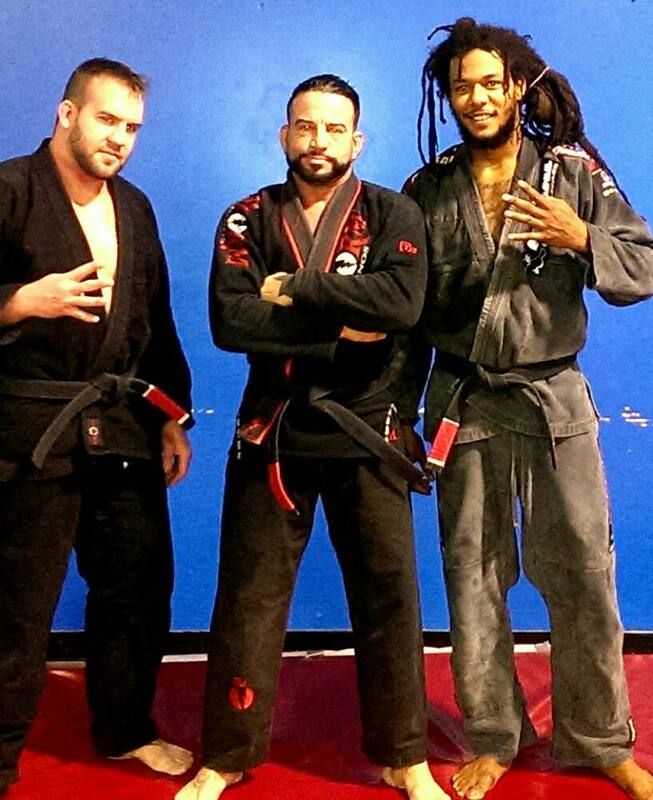 Congratulations to Luke Bubenzer and Isaiah Combs on receiving their black belts in Brazilian Jiu-Jitsu. This is an accomplishment very few ever achieve.